A productive scholar and an award-winning teacher, Pamela S. Karlan is co-director of the school’s Supreme Court Litigation Clinic, where students litigate live cases before the Court. One of the nation’s leading experts on voting and the political process, she has served as a commissioner on the California Fair Political Practices Commission, an assistant counsel and cooperating attorney for the NAACP Legal Defense Fund, and a Deputy Assistant Attorney General in the Civil Rights Division of the U.S. Department of Justice (where she received the Attorney General’s Award for Exceptional Service – the department’s highest award for employee performance – as part of the team responsible for implementing the Supreme Court’s decision in United States v. Windsor). Professor Karlan is the co-author of leading casebooks on constitutional law, constitutional litigation, and the law of democracy, as well as numerous scholarly articles. 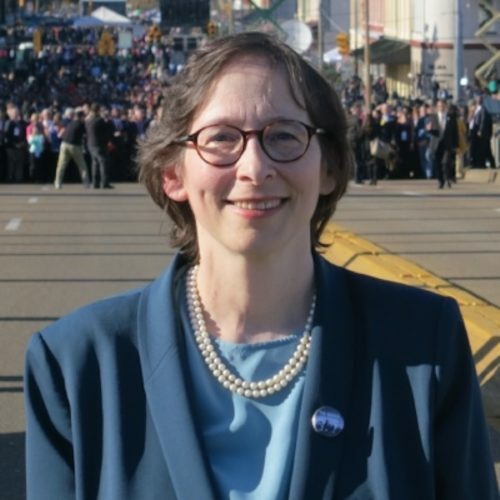 Before joining the Stanford Law School faculty in 1998, she was a professor of law at the University of Virginia School of Law and served as a law clerk to Justice Harry A. Blackmun of the U.S. Supreme Court and Judge Abraham D. Sofaer of the U.S. District Court for the Southern District of New York. Karlan is a member of the American Academy of Arts and Sciences, the American Academy of Appellate Lawyers, and the American Law Institute.